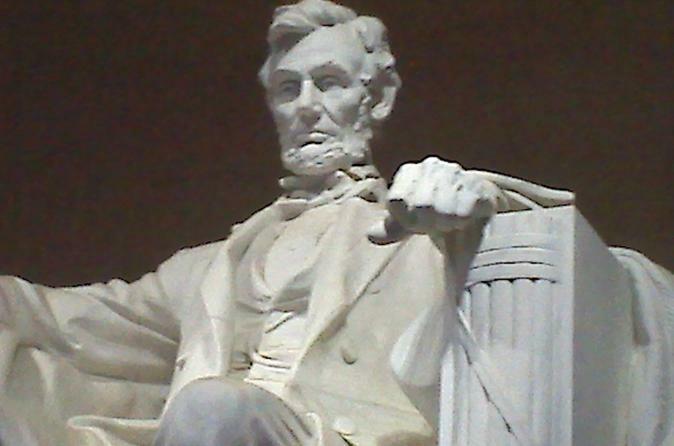 Enjoy a small group evening tour of Downtown Washington, DC. Small group sizes make this tour personal, family friendly, and fun for all! During this 2.5 to 3 hour tour you will see a unique view of the city as it comes alive in the evening. Led a knowledgeable, experienced guide, you'll make stops throughout Downtown Washington DC in a semi-private, small-group tour with optimal service. Stops include the Pentagon Memorial, Abraham Lincoln Memorial, Korean Veterans Memorial, Jefferson Memorial, World War II Memorial, and Marine Corps Memorial with time for picture-taking. You'll enjoy a personalized experience with minivan transport and see the best that Downtown DC has to offer!